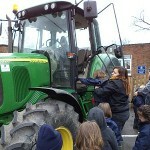 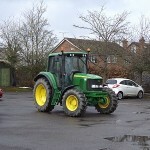 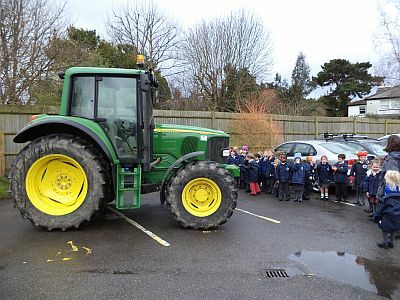 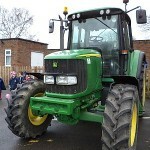 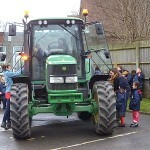 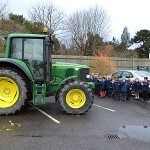 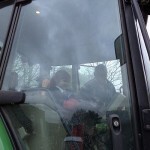 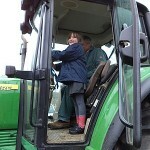 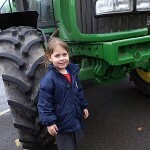 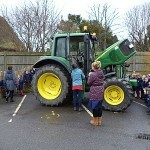 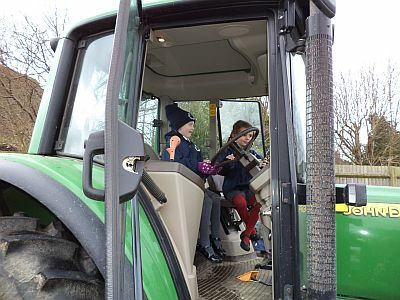 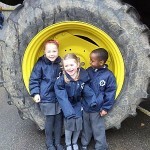 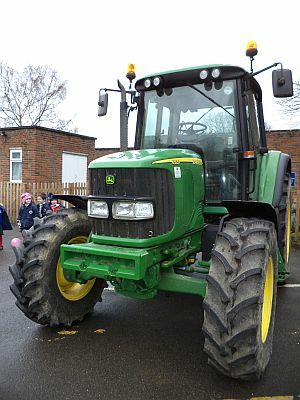 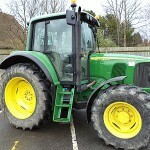 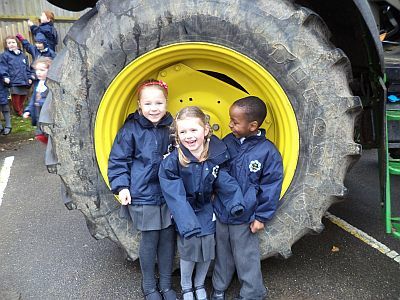 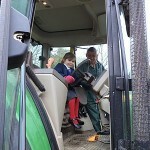 Our reception classes were lucky enough to be treated to a visit from Farmer Tim and his shiny green tractor. 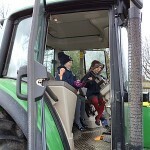 We had a great time looking at the engine, listening to the horn and we all had a turn climbing up into the cab and pretending to drive. 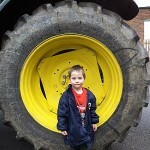 The tractor wheels were huge! 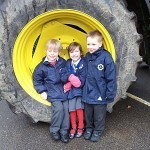 They were so big we could sit inside them. 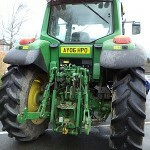 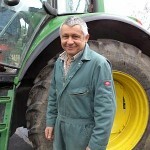 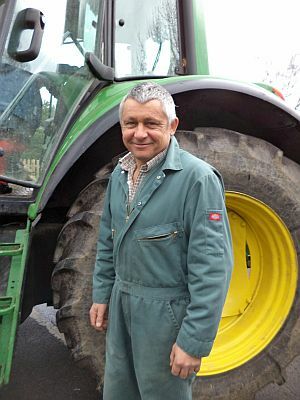 Farmer Tim had washed his tractor especially for us that morning!